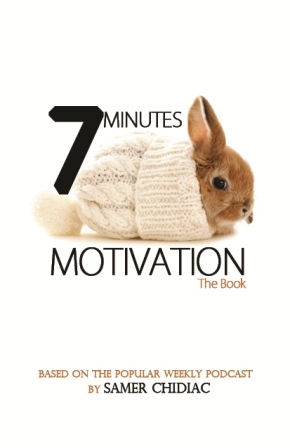 7 Minutes Motivation | Book, Blog & Podcast! ~ Book, Blog & Podcast! Introducing: Today, I Hear You! On The Occasion of the 3rd Year of the Launch of 7 Minutes Motivation, the purpose is finally stated! Samer Chidiac is a senior strategist, a best-selling author and an international innovation expert. Also internationally known for his unique methods in writing, teaching and presenting. The Year 2013 has just started, and we just launched a New Bonus Episode. The Episode is all About Words vs Actions and how we can change the way we talk and get a higher benefit on many scales. The Book is Now available Worldwide! Think when you were still a Kid! More Information will be communicated at a later stage! It’s all about Goals… Video of the Month! Professor John Nash: Thank you. I’ve always believed in numbers and the equations and logics that lead to reason. This week’s episode is special in a warm way; we illustrated a very strong concept using a short story played by the innocent 7 years old girl (Rasha). Once upon a time, there was a young girl called Rasha, innocent she was, the 7 years old was filled with passion to discover the world and a curiosity to live a fantasy many adults have forgotten. The Lesson at School that day was about the World of the Seas, everything around the sea… The Types of creatures that lives in the sea, the plants, the sands, the rocks… everything! Rasha was listening to her teacher and having a vivid day-dream about the sea, enjoying every single word coming out at class. When school was over, Rasha’s Father arrived to pick her up. Rasha: Daddy, can we please go to the beach? Rasha’s Father: You mean go Swim? Rasha: No, we took a lesson today with this regard, I just want to go to see it… Please daddy, please please pleaaaasssseeeee…. Rasha’s Father: Ok.. we’ll pass for few minutes! Rasha arrived to the beach, and started running while drawing circles around her, she was enjoying the sounds, the breeze and the smell of everything around her. 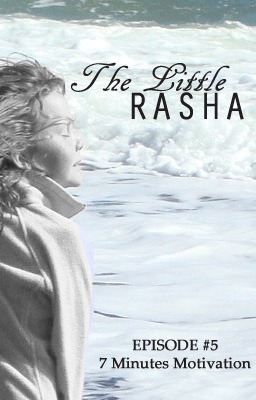 Rasha then Stood in surprise, and she saw a large number of small Fish on the beach… Apparently those were carried away from the sea by a big wave… She remembered that the Fish cannot survive outside the Water, because they cannot Breath!! It was getting Late, and Her father wanted to come back home. Rasha’s Father: Come on Rasha, it’s getting Late! we need to come back, your mother is waiting. Rasha: But I can’t come back… Look the Fishes are dying!!! He looked and saw hundreds of fishes laying around and with every wave, more fishes are left on the sands to die. Rasha’s Father: it’s Hopeless Rasha, you can’t save all the fishes..
Rasha’s Father (with anger): You’re Still Young Rasha and you don’t understand, You can’t make a difference here… LET’S GO HOME NOW. Rasha started crying, and held a small fish and looked at her father. “You See that fish… for this one… Yes it makes a difference” and she throw it back to the sea. The Father was astonished by what his 7 years old daughter said… But was speechless and stayed that way and they both returned home. Rasha finished her meal quickly and went to her room. Her mother followed her and asked her what’s going on? Rasha: Life is not beautiful… It’s unfair and I don’t like it!! The mother was surprised to hear such big words coming out of a little lady . “Come with me to the Kitchen, and we’ll have your favorite thing ever… Chocolate Cake! !” said the mother while grabbing Rasha’s hand and walking together to the kitchen! “Open your Mouth” said the mother. She then put a small spoon with flour into Rasha’s mouth! now she placed another small spoon of raw egg. 2 opposite things we can learn from Rasha’s Story. One is that every single act of Good is Worth doing and one that we sometimes need to look at the bigger picture regarding the details . Enjoy & I’ll see you soon!